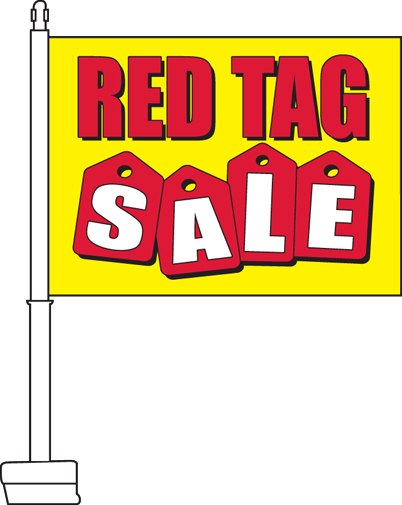 Our Red Tag Sale Car Flags feature a yellow background with red text outlined in black that reads "Red Tag." 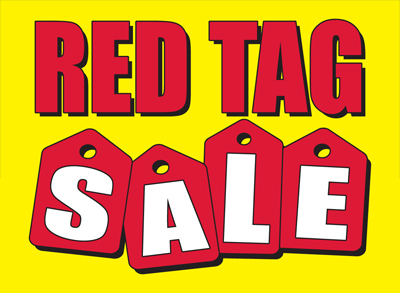 Beneath this are red tags outlined in black with text on them reading, "Sale." 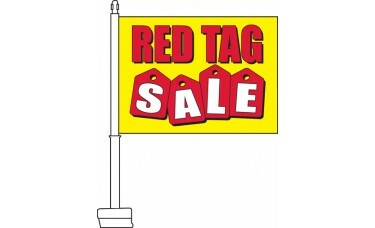 These car flags are a great choice for any car dealership looking to promote a red tag sale. Our deluxe polyester car flags measure 11" x 15" and feature double sewn hemmed edges and a hemmed sleeve. The car flag includes a premium white plastic staff for easy installation to any car window.